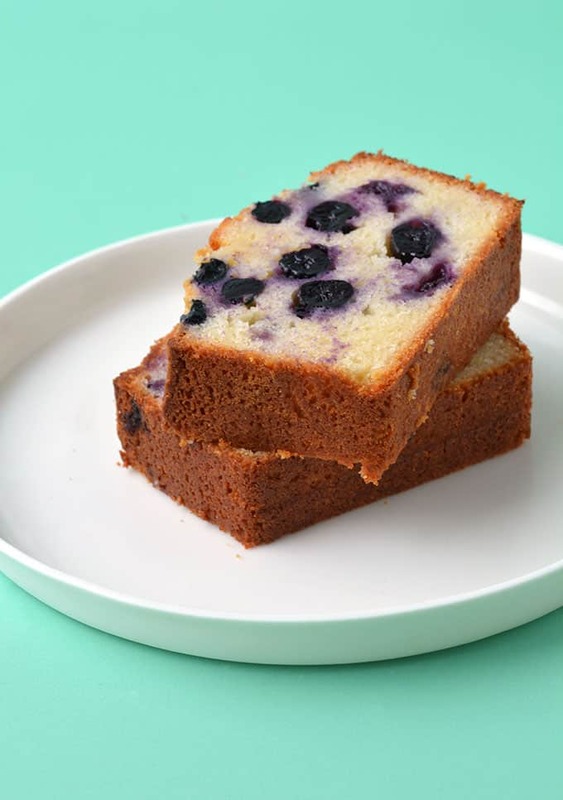 Enjoy a slice of homemade Blueberry Bread, perfect for breakfast or morning tea. 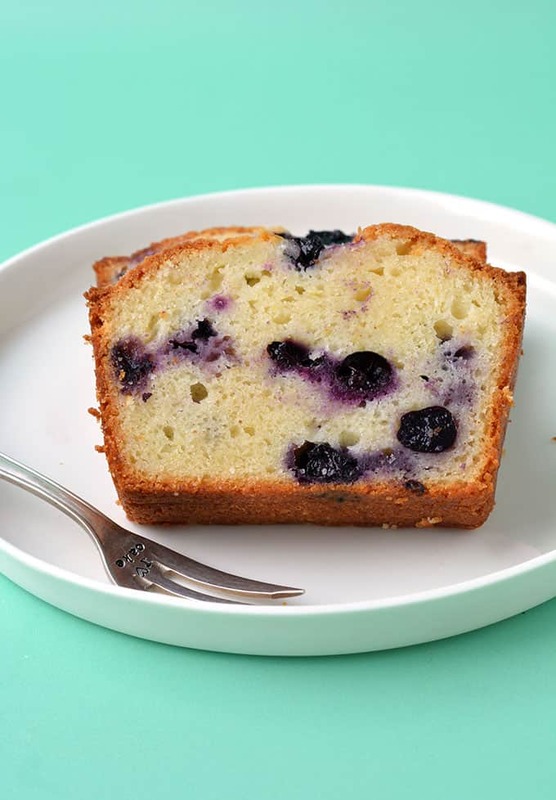 This moist olive oil cake is packed with fresh blueberries, lemon zest and a squeeze of fresh lemon juice. This lovely Blueberry Bread was a labor of love, but I’m so thrilled with the way it turned out. 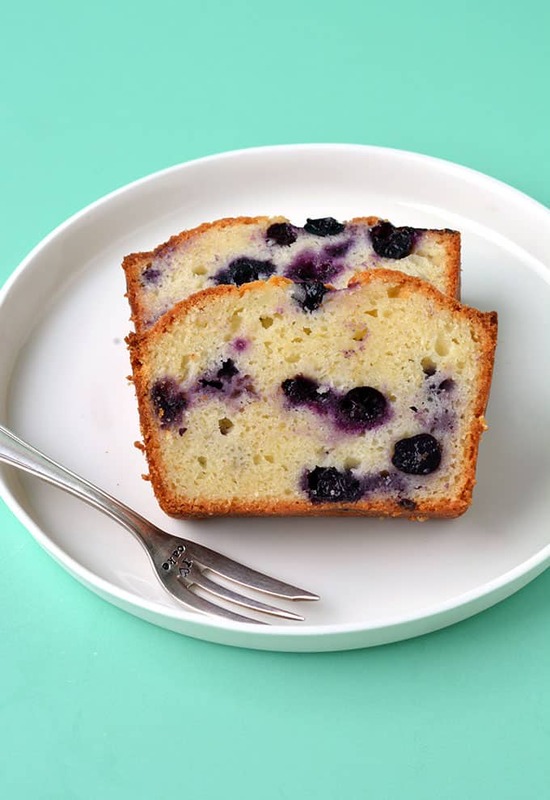 A moist olive oil loaf studded with fresh blueberries and flavoured with fresh lemons. It’s the perfect tea-time treat. 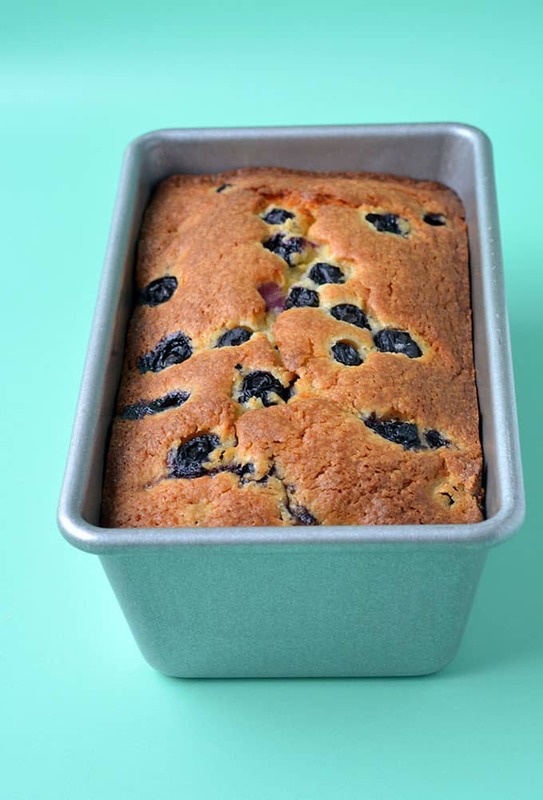 If you follow me on Instagram, you’ll know that it took quite a few turns to get this Blueberry Bread just right – and a big part of that was because my blueberries keeping sinking! Have you ever had that problem before? I reached out to you on Instagram Stories to find out your tricks for preventing this, and after a few more tests, I finally found something that worked for me. See all those glorious blueberries suspended on top? Boom! So most people suggested rolling the blueberries in flour before adding to the batter. I tried this and it worked a little – but it wasn’t good enough. The blueberries were still sitting in the bottom half of the loaf. Well I did coat the blueberries, I used cornflour, but flour is fine too. But I only added them to half the batter. So the batter without blueberries goes into the tin first, followed by the batter with the blueberries. Then I added a few blueberries on top before baking. The result was pure blueberry perfection. 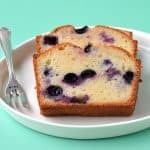 You’ve got a sweet, soft but dense olive oil loaf filled to the brim with fresh blueberries, while fresh lemon juice and zest add a pop of flavour. It’s sweet, without being too sweet, so would even make a lovely treat for a late breakfast or brunch. My favourite way to eat it is slightly warm (just zap a slice in the microwave for 10 seconds) and smothered in softened butter. This loaf is best made with a bowl and a whisk or spatula, so put away the electric mixer. If you use an electric mixer, you’ll run the risk of over beating which will result in a dry, tough cake. Try not to over bake this cake. Every oven is different, so start checking the loaf from about 45 minutes onwards. Insert a butter knife or skewer into the centre of the cake, if it comes out clean, you know the cake is ready. To ensure the blueberries don’t sink, coat them in corn flour or corn starch. 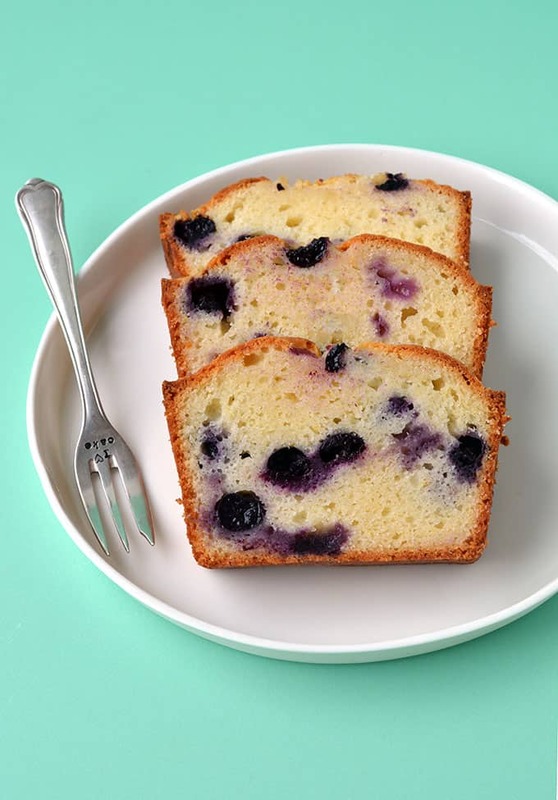 Only add blueberries to half the batter as instructed in the recipe below – and reserve a few extra to place on top. 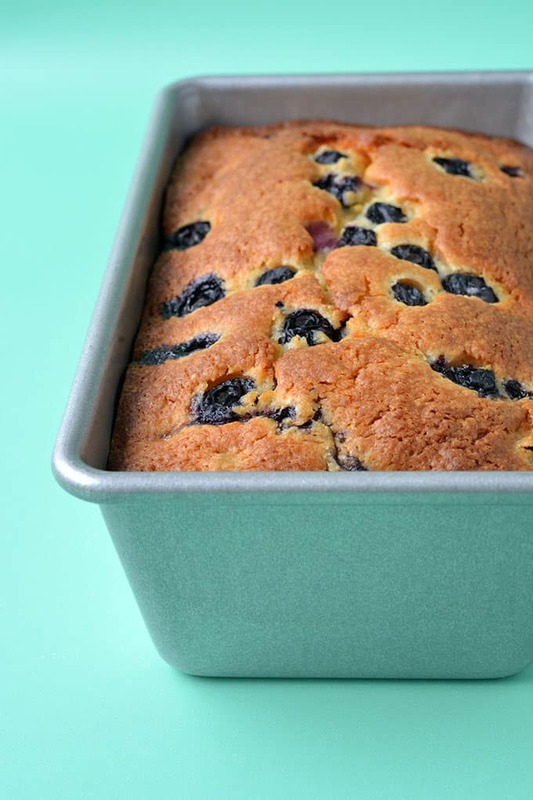 An irresistible Blueberry Bread made with olive oil, lemon and fresh blueberries. Preheat oven to 180 C (360 F). 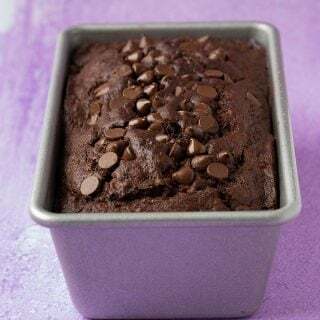 Grease and line a 9 x 5 inch rectangular loaf pan with baking or parchment paper. Add 1 cup blueberries (set aside remaining 1/4 cup of blueberries) and cornflour to a small bowl and mix until blueberries are coated. Set aside. In a large mixing bowl, add olive oil, sugar, vanilla, eggs, lemon juice and zest. Whisk briefly to combine. Add flour, baking powder and yogurt. 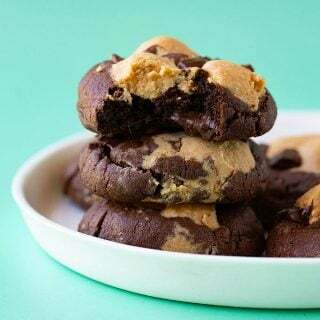 Gently mix with a wooden spoon until combined – but be careful not to over mix. Add roughly 1/2 of your batter to prepared tin. Then add the coated blueberries to the remaining batter and gently mix through, before adding mixture to prepared tin. Press extra blueberries on top. Bake loaf for approximately 45-55 minutes or until a skewer inserted in the middle comes out clean. If you find the top of your loaf is browning too much, simply add a piece of alfoil over the top towards the end of cooking. 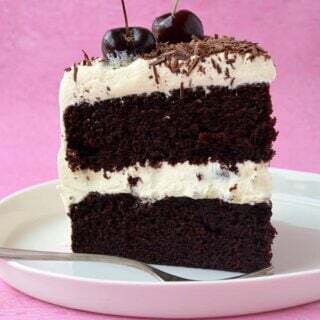 *If you don’t have cornstarch or cornflour, use 1 tablespoon of plain flour. This was soooo delicious! Made it about a month ago and will make it again tomorrow!!! Aww so glad to hear that Becky!! Can we use dry blueberries? 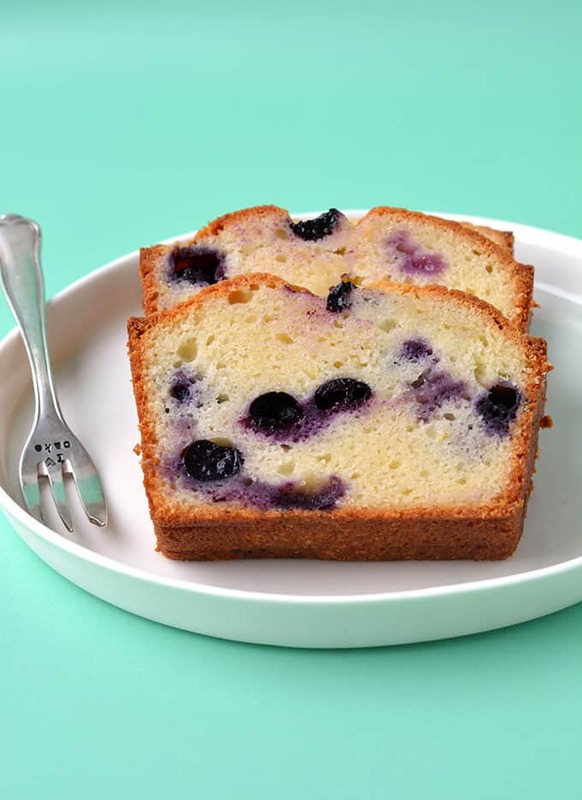 Hi Nithya, I haven’t tested this recipe with dried blueberries so I can’t say for sure – sorry!